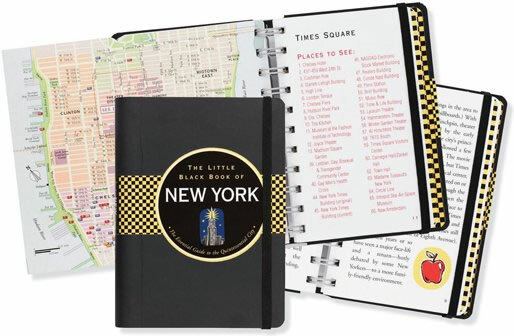 The Little Black Book of New York: The Essential Guide to the Quintessential City, first published in 2006 by Peter Pauper Press, and now updated in its third edition, is a best-selling and award-winning pocket-sized guidebook to Manhattan. Each neighborhood has a brief guide to its history, culture, entertainment, dining and accommodation, with nine accompanying fold-out maps. The original edition was voted Best Guidebook of the Year by the website Travel Writers Life, and Booklist/The American Library Association voted the Little Black Books Best Travel Series in 2008. Most importantly, the people who have actually used it have had some very nice things to say about it.